Have you ever experienced a situation, with your Forex Broker, where a surprise news headline went public and you went in because you saw an trading opportunity and made a position, but after a few minutes the market went reverse? You were suppose to put stop loss on that earlier position, but it was just a quick entry for a quick buck and you now having problem because the order for a stop loss or trailing stop doesn’t count in? Or have you ever experienced that you needed more information and set of new eyes to see the market clearer when everything is not coming into place, especially, after a few straight losses? A few months ago I opened an account with InstaForex, I heard a lot of good comments about this Forex Broker so I decided to try trading at this broker. Since I’ve been experiencing a couple of Trade Slippage, and was trading at variable spread that eliminated my positions immediately in a good opportunistic scenario, when the price fluctuates widely. As Jordan Belfort said in the movie the Wolf of Wall Street; “My clients don’t judge me by my winners, but they judge me by my losers”. And surely, before I change to Instaforex, I was losing badly. Hence, there are bulls and bears I’d rather be profitable. It is important for me that the Forex Broker has a clear system for trading, rules and policies regarding the withdrawal and deposit of funds. After all, if a fund, even if it’s the smallest amount we want to withdraw, and if takes a lot of time then we doubt and complain. Depositing money, as well as Withdrawing money comes in easy and very accessible forms as my Forex Broker, Instaforex, has so many tools for funds transfer, didn’t thought that they would do a better job at first but they did. Starting with withdrawals there’s a standard time for these important transactions to be handled and what I like about this is the fast response of the Customer Service group that makes me feel that my money is safe. They respond to me through email, and courteously discuss with me the situation and procedure. There’s an array of banking payment system for depositing and withdrawing funds. But what I like most amongst this is my first trial of the Forex Broker’s innovation, InstaWallet. There you can share and save your funds with fellow traders, in this case my friends. Like any other broker this Forex Broker have the same transactions in terms of deposit. Now, I was able to withdraw funds through Skrill which has no fee associated and is processed just within 24 hours. I was impressed by the great credential and how InstaForex managed their operations in their early years. While I was conducting my background research I was able to see numerous of prestigious award that the company was recognized for, no wonder InstaForex became the Asia’s Best Broker. It was Asia’s Best Broker in 2009,2010, and 2011 by World Finance Awards, speaking of a grand slam championship right there for 3 consecutive years; Best Retail Broker in 2011 by European CEO Awards and Jordan Expo, and 2012 by IAIR Awards to name a few. Looking for a Forex Broker, it is important to note the successes that they’ve achieved as this is a proof that they mean business and that they’re doing very well in their field that’s why they are being recognized. And I just didn’t stop there, I researched why and what things did they do to deserve such recognition. As I was checking other news feed, their great platform and other great offers, what made me realize that InstaForex as a Forex Broker have done a great job is their history of making great deals. They’ve secured a contract with MetaQuotes Software Corp., whose business is providing quality online trading software. They’ve negotiated and entered into quality contracts with the largest news provider (Reuters and others) to perform good analytics and real time information which is very important to all traders, and importantly, reached an agreement with major contractors to have access in the foreign exchange market, speaking of high liquidity. These moves were the fundamental building block that creates and maintains high-grade service regardless of market condition. And as a great Forex Broker, they continue to ride this momentum and better their services with cutting edge technology to consistently provide higher than the standard performance. To which they have pioneered and co-branded the InstaForex Bancard, where traders and investors can transfer money from their trading accounts to VISA cards/InstaForex Bancard. Such an innovation makes the process more effective and efficient that paved way to the creation of other great systems like PAMM accounts, Forex Copy and many more. 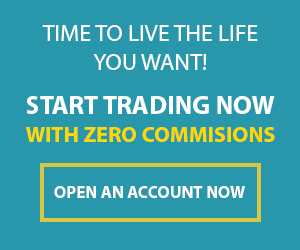 Changing Forex Broker makes it difficult to change that established habit, but as I shift to Instaforex I was able to trade immediately, since the platform they use is similar to the one I’ve been using, MetaTrader 4. Hence, no time wasted for major adjustments. As a newbie to an intermediate trader like me, it is a good sign if the Forex Broker provides educational setups and other new ways to develop learnings. On their website I saw many icons leading to videos and blogs about trading, and through this I am aware and exposing myself into seasoned market experts that sharpens my instincts for high probable trades. Also, this new unique system called InstaCopy where I, or anyone, can copy the proven and winning trade patterns of the most successful traders in the field has proven a good training for me as I replicate other’s winning positions. Winning and Losing trades vary from trader to trader. There are traders winning in bulls and there are traders winning in bears, but to me these are all paper gains until I close my position which becomes profit. My Forex Broker, now, adheres to what I seek as a trader. If I didn’t take the risk of changing, then I just continued my growing headache further, and now I’m slowly becoming a winner again. Open an Account, or try the demo account first, with Instaforex and experience that feeling of becoming a Champion. What do you think of InstaForex?